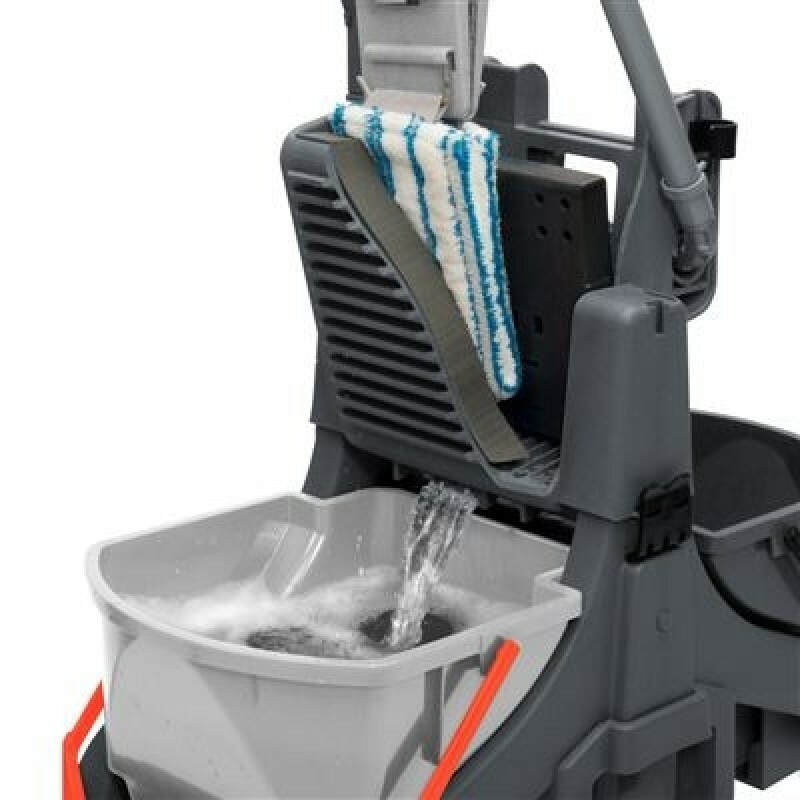 What is important about the MidMop design is that the mop press is conveniently mounted in the middle and above the clean and dirty water buckets with the very real advantage that you have full access to both buckets all of the time but, equally, the press is in the optimum position to be used without continuously bending down, an additional advantage of the mid-mounting is that both of the 16-litre buckets can be removed and replaced without moving the mop press. 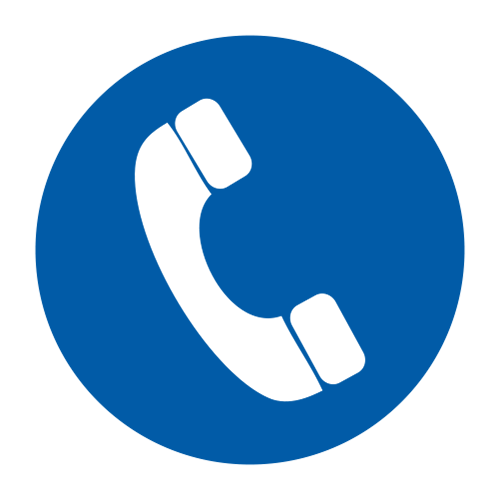 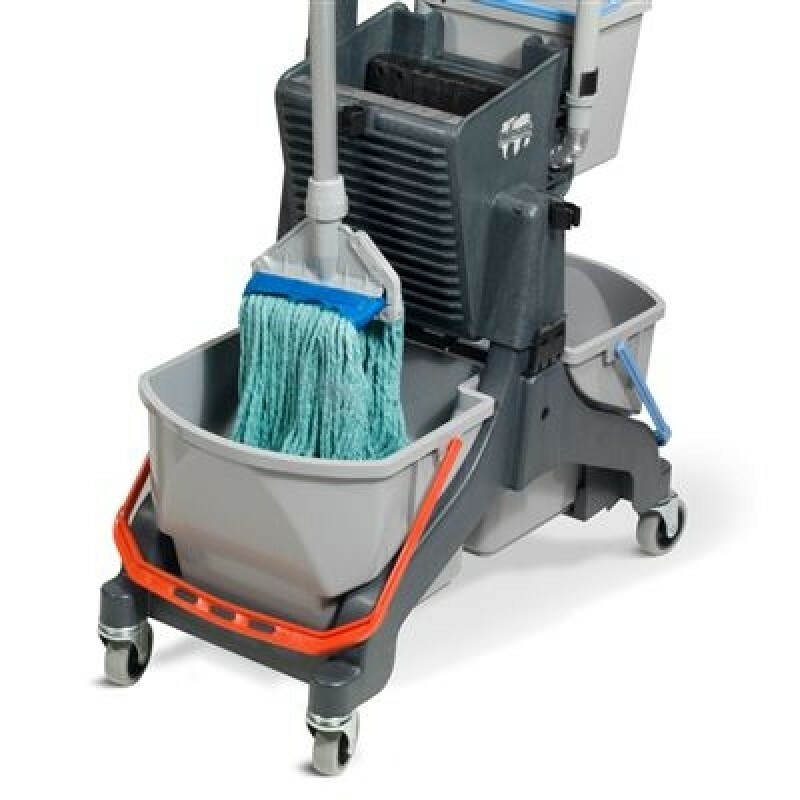 When a mopping system is easy to use with everything in its place it plays a major part in improving the standard. 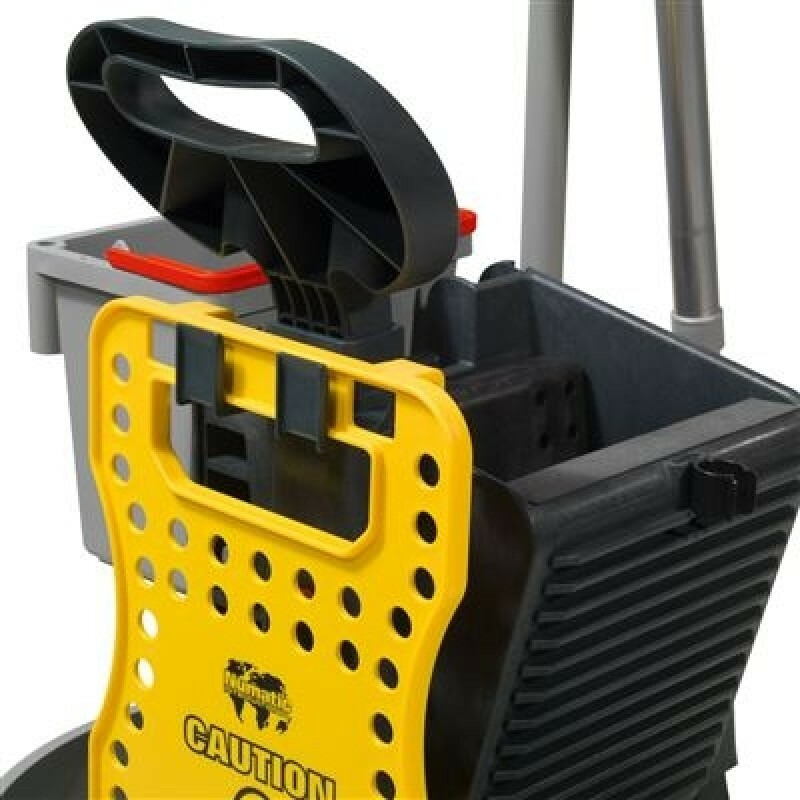 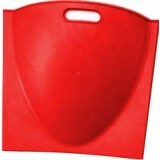 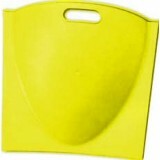 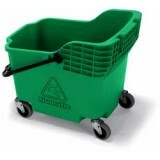 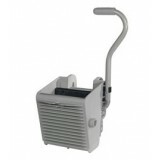 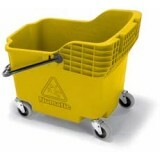 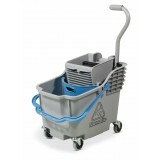 The MidMop is always on hand and easily stored, the compact design provides a go anywhere twin bucket mopping system. 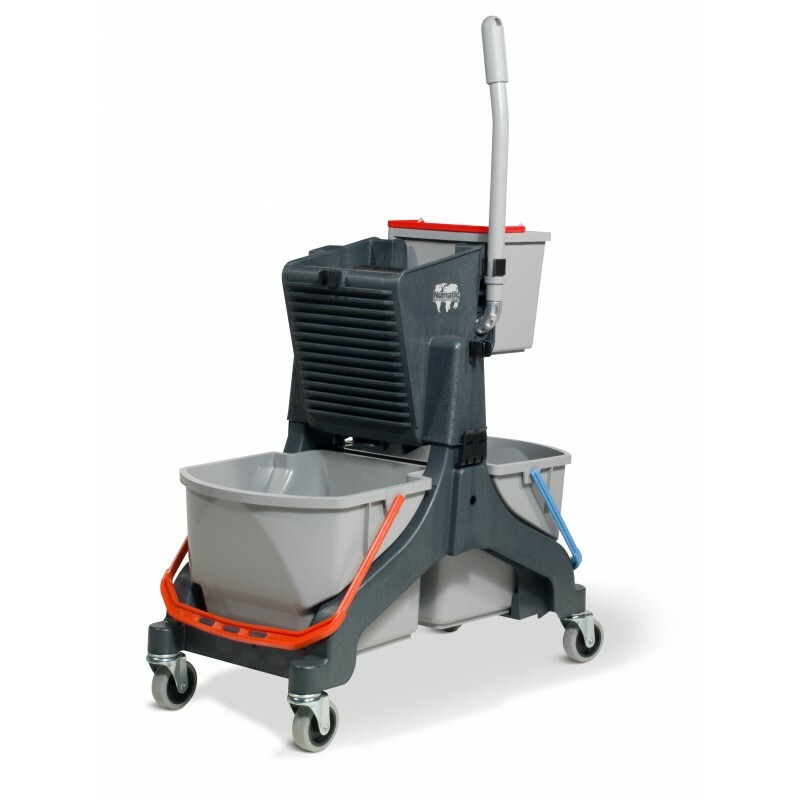 What is important about the MidMop design is that the mop press is conveniently mounted in the middle and above the clean and dirty water buckets with the very real advantage that you have full access to both buckets all of the time but, equally, the press is in the optimum position to be used without continuously bending down, an additional advantage of the mid-mounting is that both of the 16-litre buckets can be removed and replaced without moving the mop press. 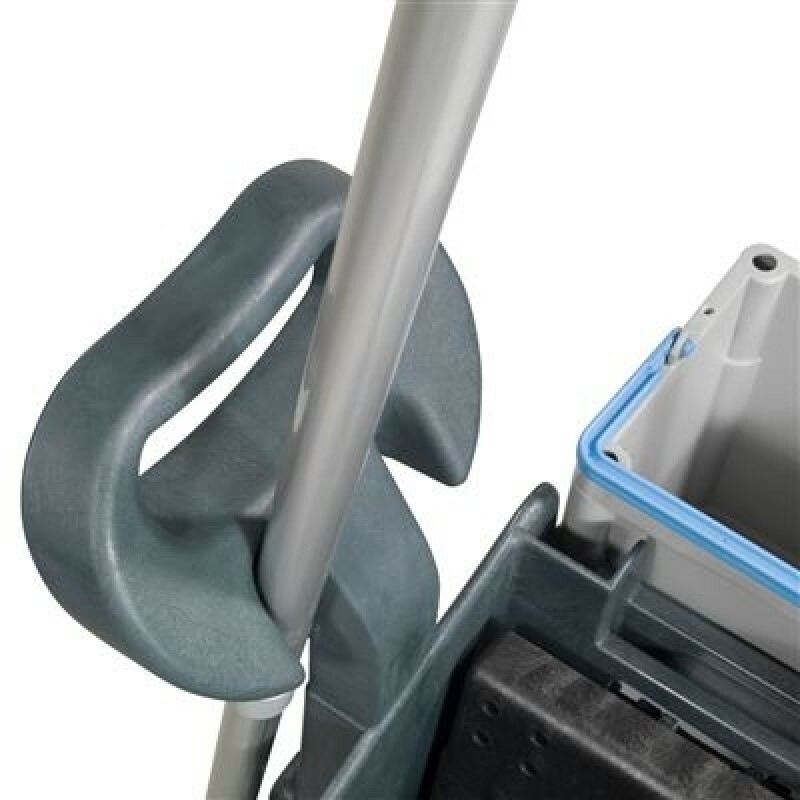 When a mopping system is easy to use with everything in its place it plays a major part in improving the standard.